Very interesting. I myself may have been guilty of using Youkai just as “Japanese folkloric monster”. Got confused a moment with the Junshiden reference, though, since there wasn’t any Imperial Court in Japan in the 1st century. Although a little googling reveled it was a Chinese story. I do too. And it is confusing, because it DOES mean that. It just also means a bunch of other things. That’s mainly why I did the article: I see people all over the internet talking about yokai as if it exclusively meant “Japanese monsters.” Which is doesn’t. And yeah, that is a Chinese story. I should probably make that clear … whoops! Love this post, has cleared my doubts. And yes, im guilty too for using Yokai as Japanese Monster. Very interesting and unique info, as always. Awesome post! I’m always a fan of the ‘what does [word] really means in english’ posts. Thanks Nikolai! I admit I had you and your NihongoShark website in mind when I wrote this! And the fact that “How Do You Say Ghost in Japanese?” remains one of my most popular articles. It’s good to set the record straight on some of those terms. Hi, your posts are great. I really found many useful and interesting information. But I have one question regarding certain type of yokai. The Tsukumo-gami (animated objects) are sole category as Yurei and Kaiju, or are sub-category of … something? Your description is pretty good, I just can’t put them somewhere. I’m writing a story with yokais and I want to use them in it. I called Ittan-Momen a Obakemono (Bakemono) for time being, but it’s correct? Isn’t it too general? I also noticed you write “Yokai”, but it can be seen even as “Youkai”. Which is (more) correct? And how should I read it? I have habbit of reading it with “long o”. Thanks! Those are all good questions! Yeah, the Tsukumo-gami don’t fit any of the categories really well. I looked in Japanese Wikipedia, and they are most closely aligned with choshizen, which is a catch-all for normal things exhibiting supernatural capabilities. Winds. Trees. Spoons. Shamisens. None of these things should normally come to life or do anything weird, so when they do, it is choshizen. But really, the classifications are vague at best. And they were invented long after the yokai themselves, so trying to wedge yokai into particular categories is never going to be perfect. It’s folklore, not science, after all! In Mizuki’s yokai encyclopedias, he doesn’t classify the yokai as one thing or another. At most he classifies things geographically, but that is about it. As to the spelling of yokai, it depends on what romanization system you use. IN Japanese, it does have a long vowel so technically it should be yōkai or youkai using a macron or extra “u” to designate the long vowel, but I find both of those clunky. After all, no one writes Tokyō or Tokyou for Tokyo, even that would be more technically correct! So I just go for yokai. It sounds right when English speakers say it, unlike youkai which can easily be mispronounced as U-kai. I could go with the macron, but I find it a pain to type.And visually “yokai” looks better Honestly, unless you are speaking Japanese, the long vowel doesn’t matter all that much. .
No problem! I think English-speakers in particular like the idea of classifying yokai into different categories, as if they were Pokemon or something. But Pokemon are created specifically to fit those classifications. Yokai don’t conform to rules so easily! I’ve seen the translation of “supernatural beings”, more like a generic term, of which English has no equivalent. Oh yeah, I know that now. It’s actually from the Inuyasha wiki, it seems more accurate than the English translation’s “demons”. So, you would say it would pertain to strange-mysterious supernatural beings or phenomena? I have a question though, I couldn’t find it on the blog, is mononoke really just another word for yokai? It pertains to both. Yokai is a catch-all word … it covers many, many things. That’s why I like “mysterious phenomena” as a more accurate translation, which includes supernatural beings. 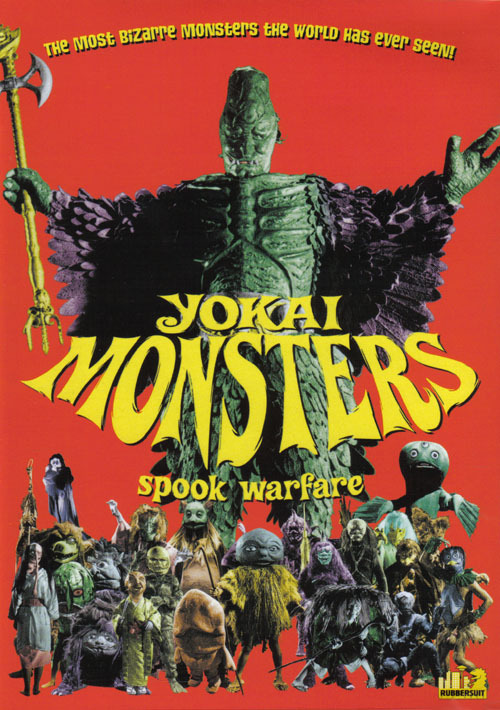 In a pinch, I suppose I could go with “Japanese Monsters,” because “monster” is a flexible word. You can have a monster storm, a monster wave, along with other supernatural creatures. And “monster” isn’t always a bad thing. Cookie Monster, for example. Definitely not “demon.” That is far too loaded a word, that really has nothing to do with yokai. The word demon has a religious significance that yokai does not. Mononoke is definitely not another word for yokai. I will do a mononoke entry someday. It’s on my “to do” list. While yokai is a broad term, without any particular ethical nuance, mononoke are evil. The souls of the angry dead. Plague bearers. Bad things. Awesome, can’t wait to read it! Yeah, I don’t use it as an academic source,, the wiki, but it was more accurate than the dub’s presentation of the word yokai. I think mysterious phenomena is probably a good translation, I like monster too. All the Internet entries say ‘yokai’ means ‘monsters’ and so on, as you’ve described here. But I seem to recall seeing ‘Yokai’ used in Japanese movies the way one would say ‘Yes sir!’ in English. They sound alike, but are totally different words! 了解 (Ryokai) – Yes sir! 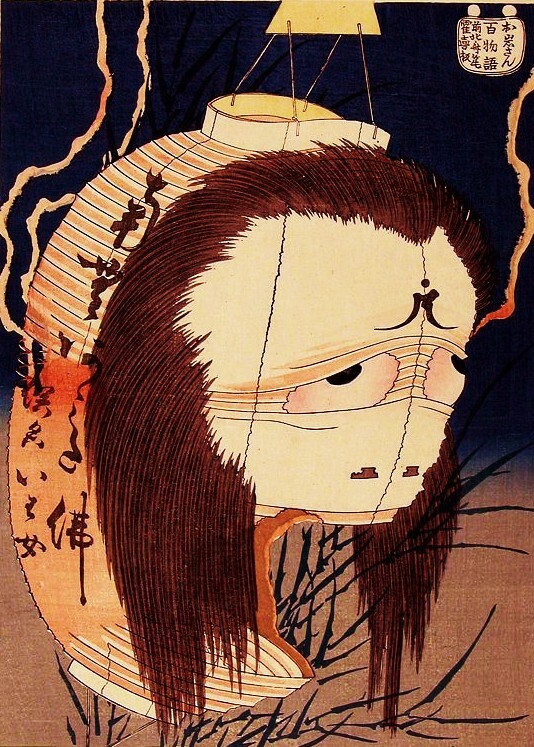 妖怪 (Yokai) – As described in this article. May someone explains me the difference between yokai, ayakashi and mononoke? I am confused with these three words. I’m not an expert, but from my own experiences the “yokai” refers to all kinds of supernatural phenomenon. 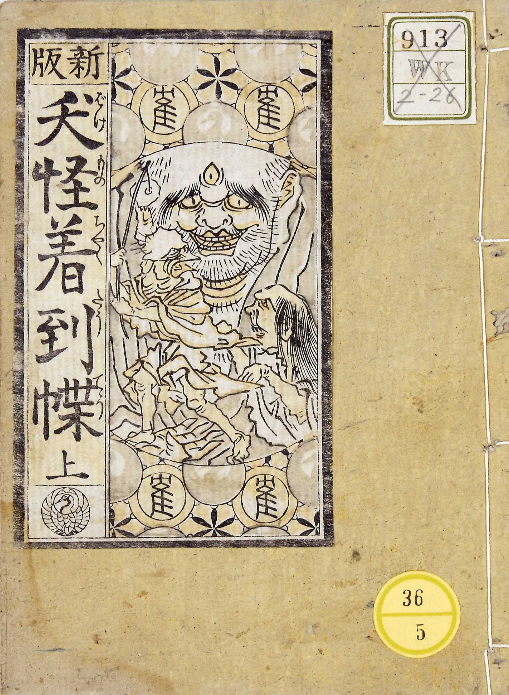 The “ayakashi” may refer to “youkai” in and on the sea, while “mononoke” marks (often) harmful spirits like bakeneko (see the manga named Mononoke). There isn’t one definite answer for this, but I hope I helped you a little bit. In few animes they use all kinds of words like o/bakemono (Ushio&Tora), mononoke (manga named Mononoke) and ayakashi to describe certain “monsters/phenomenon” and it depends on them how they interpret it. No another language can “describe” it like Japanese, co that’s maybe why it can become so confusing. I watch a lot of anime (Mononoke, Nurarihyon no Mago, Natsume etc). I noticed that they use different terms (different interpretations) like you mentioned before. But I think I understand what you explained earlier. It should be saying ‘Kyubi-no-kitsune’ (‘nine-tail fox’). Sorry, but I didn’t get the attached image. I don’t know how to post images to comments. But the kanji for Kyubi no Kitsune is 九尾の狐. Why is the hiragana for ‘no’ not in the picture, please? Well, there is no “no” in that picture because it is Chinese. They use the same kanji in Chinese, but not hiragana, which is a Japanese invention. Really, you can write it either way, the Chinese or the Japanese: 九尾の狐 or 九尾狐. I just popped over to the Japanese wikipedia, and 九尾の狐 is what they use for the page title, and appears to be the most common. The nine-tailed fox is Chinese folklore that was imported to Japan, so it makes sense that the Chinese kanji spelling would be preserved from time to time. This is basically what my understanding of the term Yokai was… I equated it with the term “Fey,” and as far as I can see the two words are very nearly synonymous. Anyway, the point of that entire long, rambling tirade was simply this: if you are familiar with Japanese mythology, you will likely see a large number of similarities between the Yokai and the Fey. Therefore, I submit to you that the two words might be employed as fitting synonyms for those who are aware that not all Yokai are monsters and not all Fey are pixies. But they are still some sort of creature, right? Some sort of being? In that case, yokai is not synonymous with Fey. As I have said, the word “yokai” is not exclusive to creatures. It can be natural phenomena–a strange wind. an unnatural wave. The Bermuda Triangle would be “yokai.” Or yokai can refer to odd plants and rocks. A piece of a house, maybe. An odd door or window. Or the spirits of the dead. Or … anything, really. I know I’m replying to a comment made years ago but I really do want to clear this up. Yes objects , places and events can be fairy or more accurately Fay. Hence Fay lands and Fay omens. You will also find that the spirits of the dead can be classed as Fay as is the case of the Ankou who in Celtic lore is the last man to die each year made into a sort of reaper of souls until the the next new year arrives. The two words are basically synonymous with each other to a surprising degree. Oh and your block is kickass btw. Keep up the good work. Youkai is a difficult word to find the limits of. On one hand, vampires are commonly considered youkai on par with oni… in fact, many consider them the same as “blood-sucking oni.” But on the other hand, mythical figures like Medusa, and divine/demonic figures like demons and angels are commonly not considered youkai, although they might occasionally be. Yamata no Orochi is sometimes considered a youkai, but many would also disagree. Dragons, spirits (both Western ones, and Japanese ones like ikiryou and shiryou), and fairies are also commonly not considered youkai because they have a “divine” or if not divine, at least a “spiritual” element… but a few might consider them youkai. So what exactly is a youkai depends heavily on who you’re talking to. Thanks, I really loved this article! I’ve always been a little bit unsure precisely what ‘yokai’ covered, and have seen many different uses for it. I just wonder in some places I see the terms, ayakashi, oni, akuma, yokai, all in a big mess, and in others there seem to be a difference. But what exactly is the differences between them? I often see ‘oni’ used as goblin (even though the creature(s) looked nothing like what I understand of the word goblin, they were neither good nor evil and some looked like fx. angels more than anything else), ‘akuma’ as devil, ‘yokai’ as monsters (like you mentioned), and ‘ayakashi’ sometimes as monsters other times more like spirits. I wish they would tell the game yokai watch. Can you tell me where you got the 4 categories of Mizuki Shigeru from? I’m writing a paper about yokai, and in the three books I have of Mizuki Shigeru, I can’t find that division (or it might be hiding in the text). I could really use it, since I am looking at different people’s definitions of yokai, and comparing them to a survey I did on how “yokai-ish” they think different fictional creatures are. Here it would be interesting to draw in Mizuki Shigeru, if he specifically mentions Godzilla, since I asked people about it. It is from his Yokai Daihyakka. And he doesn’t actually specifically mention Godzilla. That is my addition. The paper is my MA thesis, and I’ll be handing it in on next tuesday. The main point of it was to look at Yokai Watch, and one of the more interesting results from a survey I did, was that almost as many people saw Jibanyan as a yokai, as there were people who saw Tengu as a yokai (which somehow scored the lowest of all the classical yokai included in the survey, with only 57% saying it was a yokai). Right after Karakasa Kozo and Hitotsume Nyudo (they scored 99% both) came Nezumi Otoko, with 95% saying it was a “geniune” yokai. Anyway, thank you for the reply, and thank you for having this site up. Interesting! I would personally say they are ALL yokai, and there is no such thing as a “genuine” yokai. They are all genuine! if yokai is so catch all, then just “supernatural” would be equally catch all. Yes indeed! Although I think the term “supernatural” has a different nuance than yokai. For example, there is was a tree in Edo whose leaves didn’t fall in winter, and that was considered yokai. So “unexplained” is probably closer. I’m somewhat confused about the Choshizen. Besides including inanimate objects, nature, elements, etc. Does this include animals that take on supernatural abilites like the Aosagibi Bird? Probably. The categories are by no means absolute … just general guidelines. But yes, I would consider supernatural versions of natural animals to be Choshizen–so long as they are not shape changers, in which case they would be henge. Recently started watching ERASED (or Boku Dake Ga Inai Machi) and ever since I heard the protagonist of the story calling his mother a “yokai”, this particular word piqued my interest. I was browsing through several contents and online dictionaries. Although I must admit, I never would have truly realized the scope and meaning of this word, had I not gone through this pithy note. For my own benefit, I think I would love to collect this on my own online blog. This is great. I have always wondered what Yokai was. I knew there was more to it than just calling them demons. The description of the word reminds me of Faeries. the word itself also has a broad number of things that go beneath it. Like werewolves are considered faeries but with nowadays English, that is changing.